In Clash of Clans, you can’t see the Hidden Tesla unless you are close enough, the Hidden Tesla will spring up and hit you with its powerful electricity. The Hidden Tesla stays hidden and just appears once the enemy unit comes close enough (6 tiles). Your Hidden Teslas also spring up If the attacker destroy more than 51% of your base. It can attack both air and ground units. You can build Hidden Tesla from Town Hall 7. Hidden Tesla is not a trap, you don’ have to rearm it. Once the Hidden Tesla is activated, It will stay and attack the enemies until the war ends or it is destroyed. The Hidden Tesla prioritizes P.E.K.K.As over all other troops and does x2 damage on them. Create couples of more 2×2 spaces so the attackers don’t know what are the real Hidden Teslas. 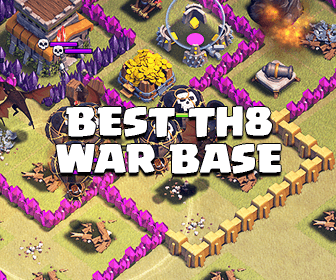 Create dummy 2×2 spaces on your base to make the attackers believe those are your Hidden Teslas. Place your Teslas to somewhere else to surprise them! Move your Hidden Tesla to another place when you are upgrading it so the attackers can’t predict the other ones. There are a lot of bases with perfect Hidden Tesla traps that you can refer at: Base Designs. Always look for obvious free places of Hidden Tesla before attacking. Deploy 1-2 troops for testing If you can. 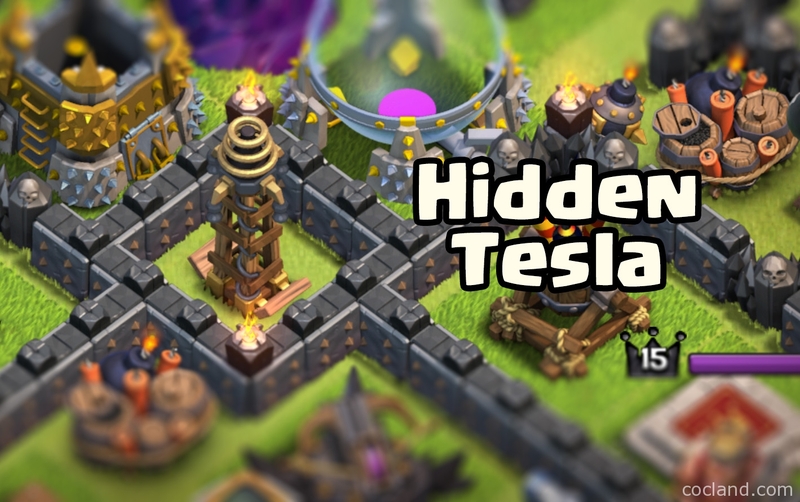 Because the Hidden Tesla is only available from TH7, If you see a 2×2 free space of a TH 6 village, It can be a Giant Bomb. Because Hidden Tesla has quite low HP so 1 Giant + a few Archers can take it down easily. 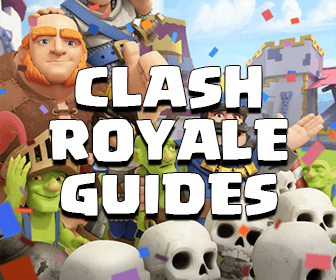 These tips are just the theory, you need to spend a lot of time in game to understand Hidden Tesla well!